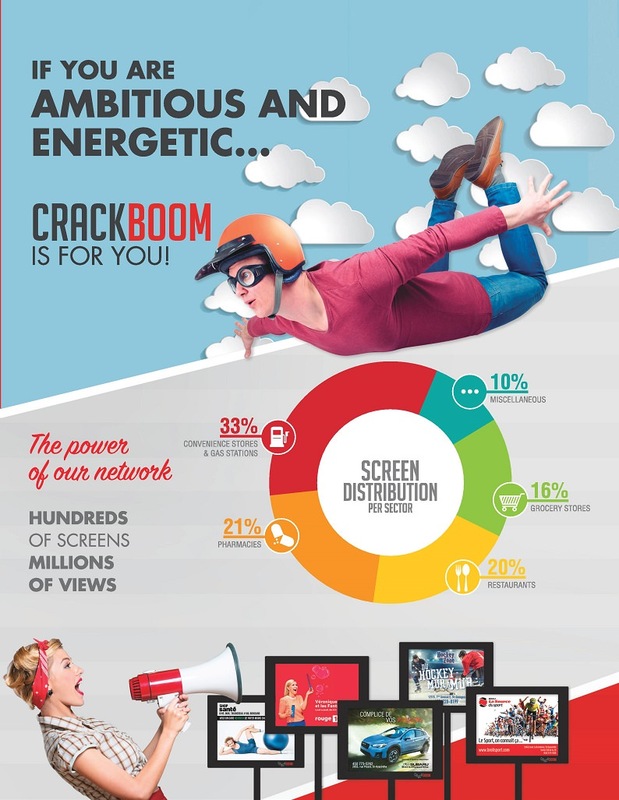 Digital advertising is CRACKBOOM Media’s specialty. With hundreds of displays installed throughout Quebec, our network allows companies to place ads according to their target audience. Our screens are strategically placed to captivate potential customers in their daily routines and activities. Are you dynamic, ambitious and organized? Crackboom Media is PERFECT FOR YOU! Gain financial independence with a franchise on an exclusive territory! WHY BECOME A CRACKBOOM FRANCHISEE? CRACKBOOM Média is looking for dynamic and ambitious entrepreneurs in order to develop our advertising display offer in their area. 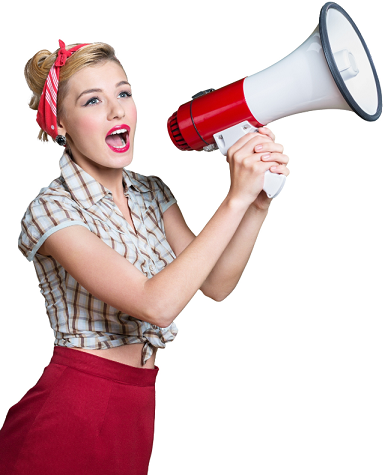 Get a protected territory and run your own advertising network! Owning a business license gives you the chance to be self-employed without actually being alone. We give you the tools to help you increase your income.